is an online business dedicated to providing authentic and high quality fossil for sale from around the world to a diverse audience. From the passionate collector to those just looking for a unique gift. We strive to provide a diverse catalog of high quality material at great prices. Just read the reviews from our customers. The fossils that we sell are real and come from trusted suppliers. We also have over a decade of experience collecting, digging and preparing fossils so we are very adept at identifying fake and restored material. You can read out Authenticity Guarantee for more information. We only sell fossil material that is legally collected and can be legally sold. We guarantee the accuracy of our specimen listings and unlike many fossil dealers are up front about restoration work that has been done on the material we sell. Our headquarters is located in Monroe, WA and we are a member of AAPS, the Association of Applied Paleontological Science. FossilEra is founded and run by myself (Matt Heaton). 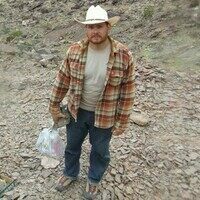 I've been a very passionate collector, digger and prepper of trilobite fossils for nearly 20 years. While my background is in technology, all of my vacation time is spent out in the middle of no where breaking rocks in search of my favorite arthropods. Founder of Trilobites of America and co-owner of Dinosaur Corporation, Jason has decades of experience in collecting some of the finest invertebrate specimens ever found in the United States. Along with his dad, Dan Cooper and brother Ben Cooper, they've worked to open up dozens of leases over the years, and specimens found by him can be found in seen in major museums and collections throughout the world. Over the years his work has yielded dozens of new species, unknown to science. His second venture Dinosaur Corporation is currently excavating some of the premier quarries in the Morrison Formation, and unearthing many exciting new discoveries such as the most complete Torvosaurus skeleton yet recovered.